Well, I guess we have to wait and see, how this machine will really change us. The way we look at computers. Our society. Our lifestyle. That’s a very smart observation, Mon. 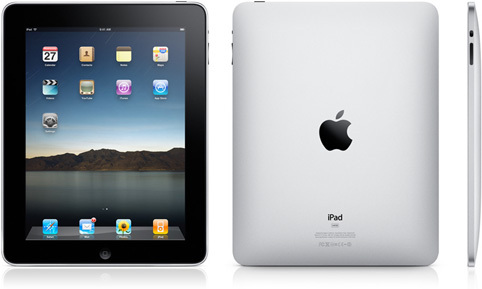 Personally, I think all the buzz about the iPad is mostly what it could be and not necessarily what it is now. There is so much potential for the iPad. Maybe someday it will replace our laptops. But right now, these iPads are too expensive for the features they provide. If it is basically a huge version of my iPhone, I’d rather wait for iPad 2.0. Buying IPAD now should be done with caution. User has to consider both the Pros and Con. It is a great multi-media device and awesome for entertainment but when it comes to document processing and overall office function it is a little bleak. Right now it is causing a lot of buzz but customer should be weary not to jump into it just yet. Letting it settle, waiting for 2.0 version could be the most intelligent choice. I agree Rye. Actually I have tried the iPad in stores several times. I think it’s good but I am not sure for what I will use it for if I decide to buy one. I have my blackberry and laptop, I prefer reading books in (paper) printed media. So maybe I’ll have to wait what iPad 2.0 will bring. As what Ivy mentioned in her comment- “the buzz about the iPad is mostly what it could be and not necessarity what it is now”. I agree with the comment that the iPad will be whatever we the users want it to be. Personally, I decided to wait on buying it until I see the full value that this hardware may provide: other than the typical iPhone functionality, what else can this gadget do for me?